KDDI positioned the three-year period from the fiscal year ended March 31, 2014, to the fiscal year ended March 31, 2016, as a time of "full-scale income growth." As the pillar of our domestic business strategy, we promoted and deepened our "3M Strategy" (multi-network, multi-device, multi-use) while pursuing our "Global Strategy." As we promoted and deepened the "3M Strategy," growth in the domestic business was driven by a strong increase in mobile communications revenues as a result of a rise in au ARPU amid the shift from feature phones to smartphones. We also expanded our customer base through "au Smart Value" services (discount bundled mobile and fixed-line services) and "au Smart Pass" services (value-added services for au smartphones) as components of our "3M Strategy." At the same time, we also focused on establishing new avenues for growth, such as by promoting "au WALLET" as a platform for increasing value-added sales as a new source of earnings in non-communications domains. On advancing the "Global Strategy," KDDI has begun to take on new growth opportunities, including "entering the telecommunications business in Myanmar," in addition to fortifying the corporate ICT business foundation, centered on data centers developing in many countries around the world. 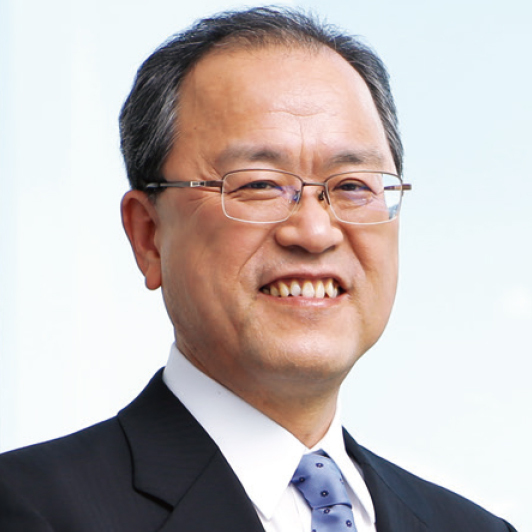 As a result of these initiatives, KDDI achieved the medium-term targets set out in April 2013 for achieving "double-digit growth in operating income" each fiscal year and a "dividend payout ratio above 30%" by the fiscal year ended March 31, 2016. Moreover, KDDI increased dividends per share (DPS) in the double digits each fiscal year, reflecting profit growth and hikes in the dividend payout ratio. We decided to buy back ¥100 billion of our own shares as an expression of gratitude for the support of our shareholders as we endeavored to achieve these medium-term targets over the past three years. In the domestic telecommunications market, business conditions are becoming more challenging as the products and services of our competitors, such as discounts for bundled mobile and fixed-line communications services, have become increasingly homogenized with our own products and services, and as inexpensive SIM card services provided by mobile virtual network operators (MVNOs) gain popularity. Over the longer term, we must also grapple with the risk of a shrinking market amid low birthrates, an aging society, and a declining population in Japan. KDDI has continued to grow steadily despite challenging competitive conditions against an expanding mobile phone market in Japan. We must "evolve" with a sense of urgency, instead of taking the well-worn path in business, while rapidly responding to changes in the business environment. With this in mind, KDDI has created a new business management direction for the next three years, one that aims at "evolve into a business that provides customer experience value." 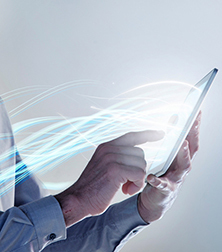 In an environment of maturing markets and products and services becoming increasingly similar, KDDI must be the preferred choice of customers. To be such a company, KDDI must quickly roll out products and services that exceed customer expectations in all fields, while thoroughly refining its strengths. KDDI aims to transform into a "Life Design Company" that constantly provides customers with valuable experiences through these initiatives. Based on this policy, KDDI will pursue growth via three business strategies that aim at (1) sustainable grow the domestic telecommunications business; (2) to maximize the "au Economic Zone;" and, (3) ambitiously develop global business. In the domestic telecommunications business, KDDI aims to maximize "IDs (number of au customers) x ARPA (Average Revenue per Account)" by continuing to promote the "3M Strategy." Customer turnover among the three major domestic telecommunications providers has declined substantially as a result of handsets, rates and networks becoming more similar, and due to guidelines issued by the Ministry of Internal Affairs and Communications advising carriers to refrain from the excessive discounting of handset sales. We accordingly believe it will be difficult to increase the number of IDs. With the robust customer base we have built up, we must now focus more than ever on ARPA, or the amount of revenues per customer. KDDI is promoting "Multi-Device" services that encourage the spread of tablets and routers to maximize "ID x ARPA," in addition to readying for Internet of Things (IoT) devices in the upcoming IoT era. With regard to IoT, KDDI is eyeing the creation of new business opportunities by promoting "Multi-Use" as a way to provide valuable new experiences combined with other services. KDDI aims to achieve sustainable growth in consolidated earnings in its core businesses by maximizing "ID x ARPA" through the promotion of "Multi-Devices" and "Multi-Use" while benefitting from a decline in churn rates and sales expenses in accordance with less turnover of customers. 2. Maximize the "au Economic Zone"
KDDI aims to establish a new source of growth in Japan by maximizing the "au Economic Zone." As the domestic telecommunications business transitions from being a strong driver of profit growth to a more stable growth period, we intend to create new sources of earnings from our domestic telecommunications business platform amid a maturing telecommunications market in Japan and tight prospects for major growth in IDs. The "au Economic Zone" represents the scale of economic activity outside the telecommunications domain, ranging from online content to offline real store transactions for au customers, as well as commerce and financial services that tie it all together. In Japan, carrier billing has become a common means for paying for online mobile content services. In addition to its online settlement platform "au Simple Payment" (online carrier billing,) KDDI launched two new settlement platforms to capture value-added revenues offline: the au WALLET prepaid card (in May 2014) and the au WALLET credit card (in October 2014). If customers start using their au WALLET credit card to pay not only for their au communications services, but also electricity bills and financial services, it is likely to become their main credit card for purchasing food and daily necessities, and could lead to further increases in transaction amounts and the creation of a loyalty point ecosystem. Through au WALLET, we aim to build a circulation model for WALLET points to make purchases of various services and products in actual stores. 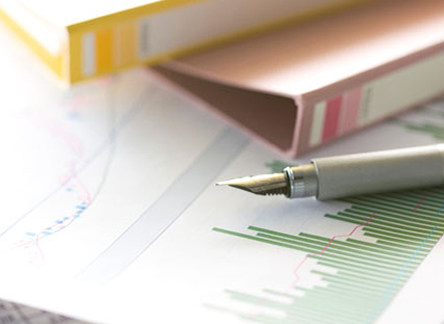 The solid au customer base consists of contracts with individuals that have passed rigorous identification procedures. We aim to maximize the "au Economic Zone" on this customer base by (1) providing two major payment platforms (i.e., "au Simple Payment" and au WALLET) that are easy for anyone to use, (2) effectively utilizing big data and a data management platform (DMP), and (3) comprehensively proposing "au Life Design" in tune with the life stage of customers by providing them with shopping, energy and financial services. In addition, KDDI is taking an omni-channel approach to strengthen contact points with customers, by enhancing its "au Smart Pass" for online services and "au shop" for offline services at real stores. Through these efforts, we aim to achieve total transaction volumes in excess of ¥2 trillion in the "au Economic Zone" by the fiscal year ending March 31, 2019. 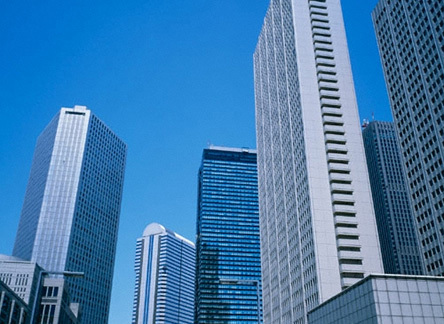 Taking into account long-term issues facing the domestic telecommunications market of declining birthrates, an aging society and a shrinking population, it is vital that KDDI create new avenues for growth in global businesses. 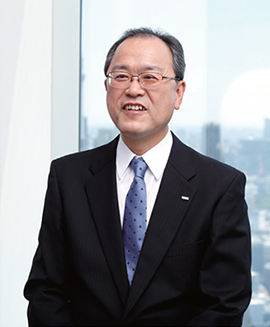 In a bid to achieve sustainable profit growth, KDDI is accelerating a push to "ambitiously develop global business." KDDI's global operations consist of the global consumer business, which primarily entails mobile phone operations for individual customers in emerging countries, and the global ICT business, which provides overseas corporate customers with high-bandwidth, highly reliable networks that span the entire world, as well as systems integration services for ICT environments with data centers at their core. 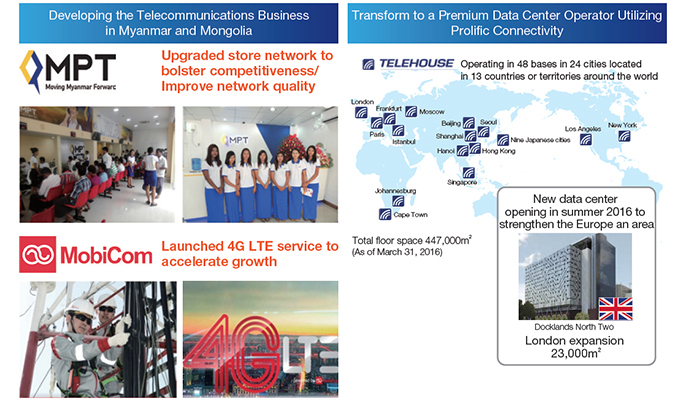 In the "global consumer business," KDDI aims to put the Myanmar telecommunications business on a growth trajectory through joint operations by consolidated subsidiary KDDI Summit Global Myanmar Co., Ltd. (KSGM) and Myanma Posts & Telecommunications (MPT). At the same time, KDDI will ambitiously develop peripheral businesses by fully leveraging its resources accumulated both inside and outside Japan, including its business experience and technological capabilities. We aim to contribute to the advancement of Myanmar's economy and industry while improving the livelihoods of its citizens, at the same time focusing on establishing the business as a growth pillar in our global operations. In addition to this business in Myanmar, in March 2016, KDDI consolidated MobiCom Corporation LLC, which has the largest number of mobile phone subscribers in Mongolia. We anticipate further growth at MobiCom as the introduction of LTE in May 2016 becomes a growth driver and the company takes advantage of KDDI's expertise in the consumer business. In both Myanmar and Mongolia, KDDI aims to be the No. 1 telecommunications carrier as the first choice of local customers. We will continue to seek out new business opportunities in emerging countries with growth potential. In the "global ICT business," KDDI "TELEHOUSE" brand of data centers are found in 48 locations spread across 24 cities and 13 countries and regions of the world. In the data center business, KDDI aims to continue solidifying its business foundation as a premium data center operator by leveraging high-connectivity, that fulfills the needs of corporate customers, by concentrating resources at competitive data centers in Europe in particular. In both the "global consumer business" and the "global ICT business," we aim to strengthen earnings potential and expand business scale in a bid to accelerate growth. With the understanding that it is still a growth company, KDDI has taken a long-term view on achieving sustainable profit growth and enhancing shareholder returns. Our targets for profit growth are to achieve average annual growth of 7% in operating income and gross merchandise value in excess of ¥2 trillion in the "au Economic Zone." As for business growth, we plan to invest a total of ¥500 billion in M & A over a three-year period. KDDI will take into account growth opportunities and risk factors when making investment decisions in M & A for business growth, centered on its new growth strategies of maximizing the "au Economic Zone" and "ambitiously developing global business". Our basic approach to maximizing the "au Economic Zone" centers on collaboration with partners that can leverage synergies with au in non-telecommunications domains. In "ambitiously developing global business", we are targeting medium and long-term growth opportunities in mainly emerging markets projected for economic development going forward, instead of industrialized countries where markets have already matured. Regarding shareholder returns, KDDI has a basic policy of maintaining financial soundness and continuing to pay stable dividends. 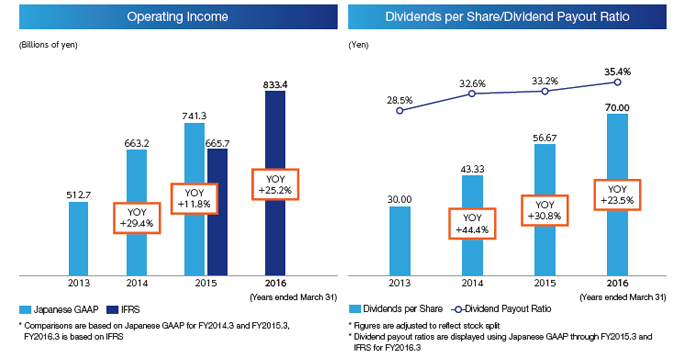 For the coming three years, KDDI has increased its targeted dividend payout ratio from "above 30%" to "above 35%". 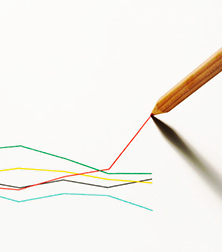 We plan to continue increasing dividends as EPS expands alongside continued profit growth. In the fiscal year ending March 31, 2017, KDDI plans to distribute an annual dividend of ¥80 per share, an increase of ¥10 per share compared with the previous fiscal year, in light of its higher new medium-term target for the dividend payout ratio. We accordingly intend to implement a double-digit increase in dividends per share for the sixth straight fiscal year, which will also be the 15th consecutive year of dividend increases. KDDI buys back its own shares after growth investments. KDDI has disclosed it will buy back ¥100 billion of its own shares in the fiscal year ending March 31, 2017. KDDI aims to limit treasury stock to 5% of total shares outstanding, and will cancel any shares in excess of this amount. On May 18, 2016, KDDI already cancelled 2.62% of its treasury stock. The "KDDI Group Philosophy" defines the code of conduct that should be followed and the common values that should be shared by all employees at the KDDI group. By following the "KDDI Group Philosophy," KDDI aims to be a company appreciated and trusted by all of its stakeholders. 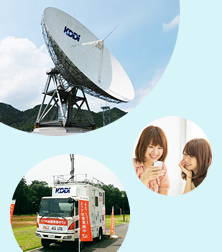 As a telecommunications carrier managing social infrastructure that must work under all sorts of conditions, 24 hours a day, 365 days a year, KDDI is charged with the vital mission of providing reliable communications services to society. The telecommunications business could not exist without being able to borrow radio waves and other valuable assets that belong to the public. We would not be able to fulfill this responsibility in its entirety without all of our employees working together in unison in both mind and body. 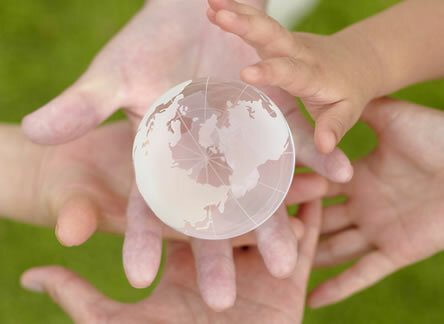 We are aware of our social responsibility to help solve problems faced by society with high aspirations. The "KDDI Group Philosophy" defines our corporate posture and how our employees should tackle issues at work. As we have ambitiously developed global business in recent years, it has been essential that all of our employees take action with a shared set of values to generate synergies and strengthen ties between each business division. After revision of the "KDDI Group Philosophy" in 2013, KDDI has provided continued training courses to employees inside and outside Japan to spread the philosophy. 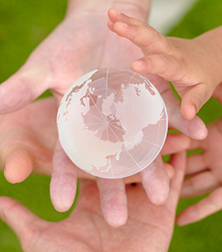 We will pursue our mission as a group of employees that share in the "KDDI Group Philosophy." 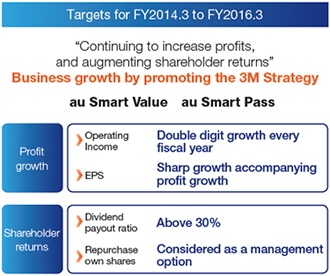 For the fiscal year ending March 31, 2017, the first fiscal year of the new medium-term business plan, KDDI has set targets for growth in both sales and profits with operating revenue of ¥4.7 trillion (up 5.2% year on year), operating income of ¥885 billion (up 6.2%), and net income attributable to owners of the parent of ¥540 billion (up 9.2%). We are determined to evolve into a "Life Design Company" that leads the new era while realizing sustainable growth and rapidly responding to changes in the business environment. With a stronger sense of urgency, we will make a concerted effort companywide in our aim to continue improving corporate value.